Situated in the heart of Oklahoma City, Route 66 Inn Oklahoma City is close to Celebration Station, White Water Bay, and EB Jeffrey Park. Also nearby are Harlow Park and State Fair Park. The hotel offers a restaurant. Wireless Internet access is complimentary in public areas. Additional amenities include laundry facilities, room service (during limited hours), and an elevator (lift). For a surcharge, guests have access to a roundtrip airport shuttle (available 24 hours). Self parking is complimentary. The property has designated areas for smoking. 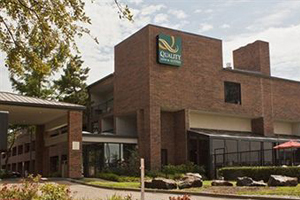 The Quality Inn and Suites Oklahoma City offers a fitness centre. It is 9 km from the city centre and has elegant rooms with free Wi-Fi access. Decorated with dark wood furniture and carpeted floors, each spacious room at the Inn and Suites Oklahoma includes a microwave, flat-screen TV, and air conditioning. Private bathrooms come with a hairdryer and can be either equipped with bath or shower. Guests can start their morning enjoying a rich continental breakfast. Restaurants, bars and coffee shops can be found within a 3-km radius. The Celebration Station leisure centre and the Whitewater Bay aquatic park are 2 km away. The Oklahoma State Fair is 4 km away. Will Rogers World Airport is 12 km away. Conveniently located off Interstate 40, this Oklahoma City hotel offers free Wi-Fi in every room. Will Rogers World Airport is just 5 miles away and a free airport shuttle is available. 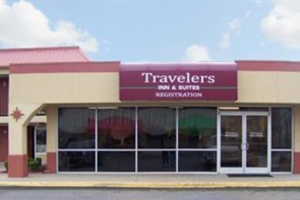 All rooms at the Travelers Inn and Suites include a microwave and a small fridge. A cable TV is also provided. Ironing facilities and a hairdryer are also available. An outdoor pool is located on site at the Oklahoma City Travelers Inn and Suites. Guests can enjoy a complimentary continental breakfast each morning. This hotel offers a 24-hour reception. 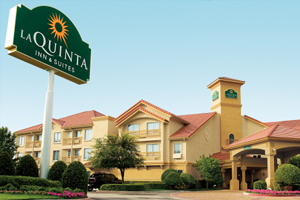 Oklahoma State University – Oklahoma City is just 6 minutes’ drive away from this hotel. Downtown Oklahoma City is 13 minutes’ drive away. Cox Convention Center is 7 miles away. 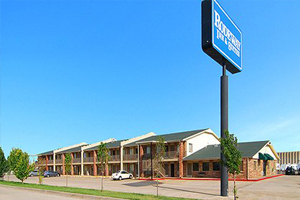 The Rodeway Inn & Suites hotel is conveniently located just five miles from downtown Oklahoma City, less than two miles from White Water Bay water park and Heritage Place, a large horse auctioning venue. This hotel is minutes from Bricktown entertainment district, the Cox Business Services Convention Center and Myriad Botanical Gardens. Additional nearby points of interest include:Ford Center entertainment and sports facility, Frontier City Western theme park, National Cowboy & Western Heritage Museum, Oklahoma City National Memorial & Museum and Oklahoma City Zoo. Due to the early settlers that traveled across the trails of Oklahoma, the Western and cowboy spirit is still alive today in Oklahoma City. Reminders of Western culture can be found throughout the city in art, statues, rodeos, museums and other unique places. Guests of this hotel will enjoy amenities and features like: Free coffee, free wireless high-speed Internet access and free local calls.The hotel is pet-friendly (nightly fee applies). After a long day, relax in the indoor hot tub. Business travelers will appreciate access to copy and fax services. In addition to standard amenities, some rooms come equipped with microwaves, refrigerators, coffee makers, desks, hair dryers, irons and ironing boards. Non-smoking rooms are available. Laundry facilities are located on the premises for added guest convenience. This Yukon, Oklahoma hotel boasts a complete breakfast buffet and rooms with free Wi-Fi. Oklahoma State University is 11 miles from the property. Guests of La Quinta Inn and Suites Oklahoma City-Yukon can prepare meals and snacks with an in-room microwave, refrigerator, and coffee-making facilities. A flat-screen TV with cable channels is also provided. Guests can relax and refresh in the hotel’s indoor swimming pool or get some exercise in the on-site fitness centre. Meeting facilities are available for hosting social events and business gatherings at Yukon La Quinta. Yukon Museum and Art Center is 1 mile from the hotel. Myriad Botanical Garden is within 15 minutes’ drive. 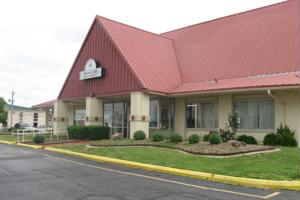 This hotel is located in Oklahoma City, only 5 miles from the Will Rogers World Airport. It has an indoor pool and offers spacious studios with flat-screen TVs and fully-equipped kitchens. SpringHill Suites Oklahoma City Airport studios include a separate living area and a work desk. The kitchens include a pantry area, small refrigerator, microwave and dishwasher. In the morning, the Oklahoma City Airport SpringHill Suites serves a buffet breakfast. Coffee and a daily newspaper are offered in the lobby. A local restaurant dinner delivery service is also available. 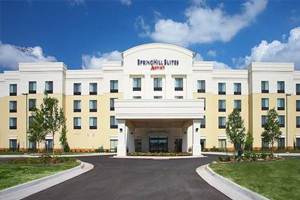 The SpringHill Suites Oklahoma City Airport is situated 2.5 miles from the Fair Grounds. White Water Bay Water Park is a 5-minute drive away.